The final quarter of 2018 has brought the return of market volatility and increased evidence of a global economic slowdown, and we expect conditions to get worse before they get better. 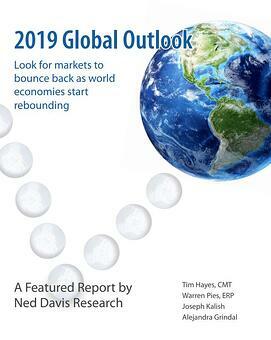 But we are also expecting the first half of 2019 to include a global market bottom, with the markets leading a global economic recovery in the year’s second half. Download our 2019 Global Outlook now for a detailed look into what our Strategists are monitoring going into the new year.